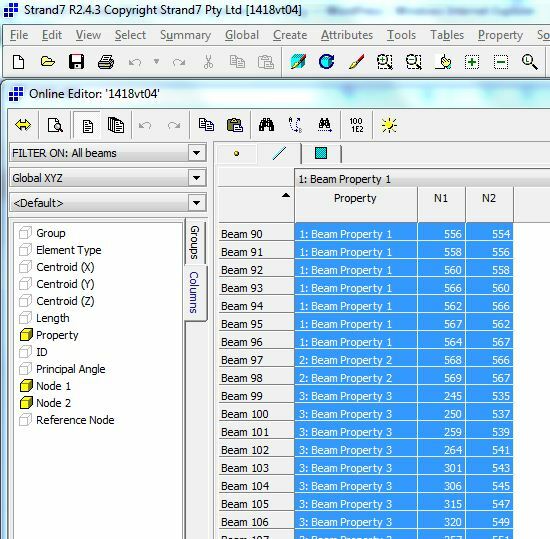 The screen shot below shows the Strand7 on-line editor displaying beam details. 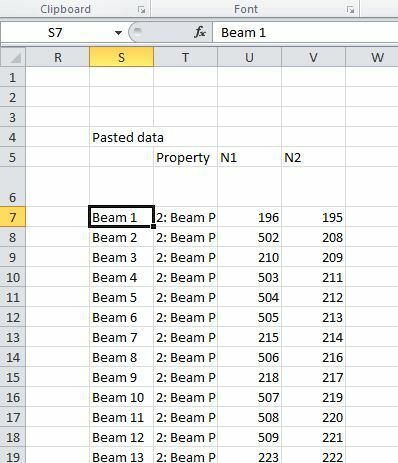 The details to be displayed may be selected in the “Columns” tab, and for the present purposes the only ones required are the beam property type and the two end node numbers. 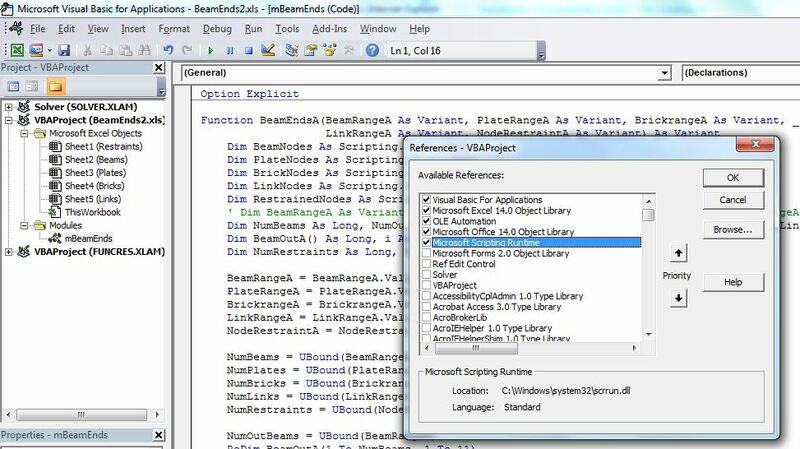 Having selected these columns for display the data may be selected using Ctrl-A and copied to the clipboard with Ctrl-Shift-C (or Ctrl-C to copy without beam numbers and column headers). A similar procedure is used to import details of the other element types included in the model (plates, bricks, and links) and a list of restrained nodes. Each entry in the dictionary has a string “key” and an associated “item” which may be any data type. In this application the item is used to store the number of occurrences of the node number. Since there is no provision to edit a dictionary item it must be deleted and recreated. The “Exists” method is used to determine if each node is included in the dictionary object. 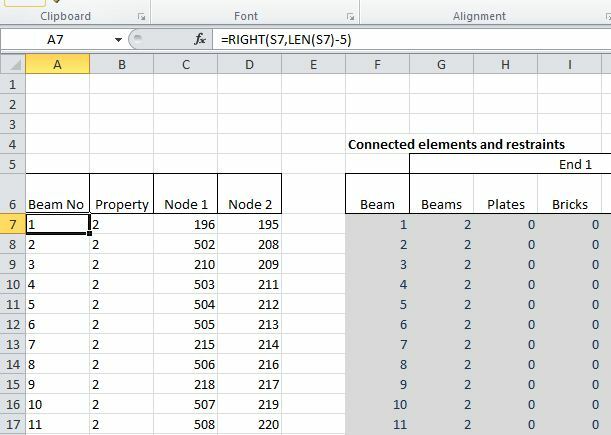 In the case of the beams the nodes at each end of the beams being checked are included in the count, so the node connection count is reduced by 1. Full code is included in the download file. This entry was posted in Arrays, Excel, Finite Element Analysis, Newton, UDFs, VBA and tagged dictionary object, Excel, FEA data, Strand7, UDF, VBA. Bookmark the permalink. There is no need to explicitly remove and re-add the entry. It’s also useful to know that Dictionary keys can be of types other than String. You can also use numbers, errors, and object instances. John – thanks for your comments. I’ll update the article and the code to make use of your suggestions.